Asif Farrukhi is a fiction writer and critic. He has published seven collections of short stories, the latest of which is Samundar Ki Chori, and two books of literary essays. 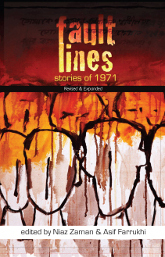 He has edited Fires in an Autumn Garden, An Evening of Caged Beasts: Seven Post-modernist Urdu Poets, co-edited and translated with Frances Pritchett, and An Anthology of Pakistani Fiction, co-edited with Intizar Hussian. He is the founder-editor of Duniyazad, a literary journal. He has translated widely from world literature and South Asian literature into Urdu and is a creative writer with seven collections of short stories to his credit.